Thank you for your time and please let me know if you have any questions or feedback about the information we are sharing with you today. We have launched the first phase of the SJSU Virtual Reality Program for classrooms by making VR headset loaner kits available to faculty and staff. Each loaner kit has four ClassVR virtual reality headsets and a quick start guide. Faculty and students can check out the VR equipment from the Classroom Equipment Loaner Service in the IRC for evaluation in the classroom environment. The CATS and eCampus teams are available to provide assistance and support. I want to thank James Morgan from the Department of Art and Art History, Robert Bruce Computer Engineering, and Jennifer Redd from the eCampus team, for their important partnership on this project. Accountability for Results! This has become a central focus in both academia and business. We are challenged to achieve effective and efficient results. Applying performance measurement to this purpose ensures alignment with our students, faculty, and staff. We see ourselves as accountable for creating and carrying out activities and being responsible for achieving results – meeting goals, effecting change, and improving the quality of our SJSU IT services. I wanted to reach out and follow up on our discussions about keeping everyone up to date on performance and quality measures for the IT Division and its alignment with the University’s goals. One of the most critical areas that we manage is the Service Desk. It has a large footprint in terms of having a significant impact on many of the students, faculty, and staff here at SJSU. At some point, most everyone has called the Service Desk for technical help. 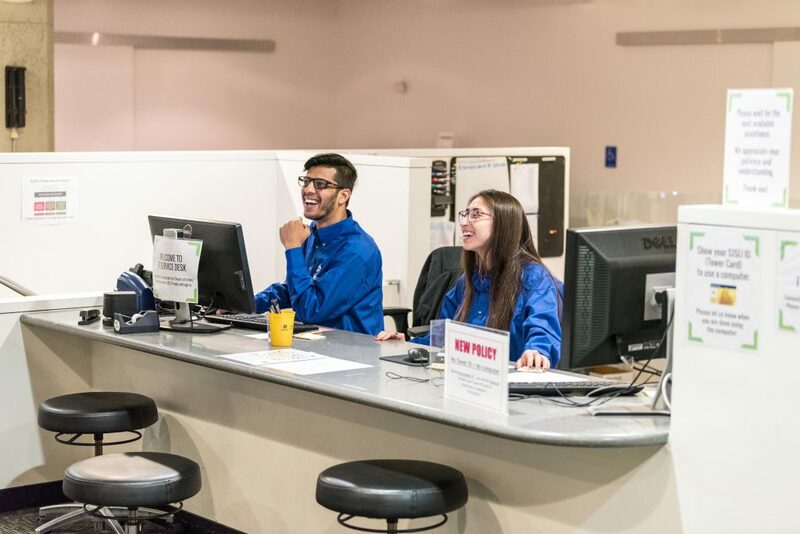 Whether it’s getting a password reset, software and application support, PC and hardware support, classroom support, etc., the call center touches many folks on campus. We will continue to survey how well we are responding and solving customer issues and continue to share the information. I am pleased with the results as they are above industry averages. Of course, we can do better, and as we continue to move forward into 2018, I will continue to share with you our performance measures. We are also developing additional analytics to better measure our customer satisfaction and determine areas where we can improve in. I want to extend a special thanks to Sharon Watkins, Janice Lew, Alfred Eclipse and Talanda Williams and all of the hard-working students on the help desk and the classroom support team led by Darlene Bargas and Rod Maciel. As part of improving the service desk, we have a new Live chat feature which allows you to get in touch with an IT Technician without having to pick up the phone or wait in line. This new tool has resulted in faster response times and improved customer service. To access the live chat tool, visit any SJSU IT web page and wait a few seconds for the chat window to appear in the bottom right-hand corner of your screen. I wish to extend a special thanks to Sharon Watkins, Leon Nguyen and Alfred Eclipse for making Live Chat a success! SJSU Information Technology Division is a data-driven organization, and I wanted to share with you some critical data about our Wi-Fi performance for the Campus. As background, the CSU Chancellor selected SJSU to be the first of the six CSU campuses to upgrade its internet connection from 10GB to 100GB coming this July. The added capacity will serve SJSU growing data needs well into the future and specifically support the growth of university research and the data infrastructure it requires. This massive expansion in bandwidth will help SJSU to become an even more significant player in research opportunities. Below are some key measures and details about our SJSU Wi-Fi. Also, during this period, SJSU guest access was significantly simplified to conform to standard non-authenticated public Wi-Fi access (such as airports and hotels.) Users now only need to accept the University’s Acceptable User Policy and online access is immediately available. Overall, it’s essential to all of us that access for guest Wi-Fi is a positive experience at SJSU. It is often the first impression a visitor has of the University. We are not done yet; projects are currently underway to improve/expand Wi-Fi coverage in the Campus Village and the CEFCU Stadium with planned completion by mid-summer 2018. The Information Technology Division continues to proactively collaborate with campus stakeholders on research IT computing, networking, and as well as grant initiatives for high-performance computing (HPC). Part of this effort in supporting academic research activities, the IT Division has created our very first Research CyberInfrastructure plan. We have put in place the plans to build a high speed, low latency research network on campus. This network will have speeds of 40GB and 100GB, and this will allow high-speed connections between the two campus’ high-performance computing systems, and the Engineering and Science buildings. The plan is also designing the new ISB (the interdisciplinary science building) to have fiber access for high-speed connectivity for research activities. The build-out of the research network will also help SJSU to attract and receive additional research grants which will leverage our investment in our Research CyberInfrastructure. A big thank you to Shai Silberman and Atul Pala for their leadership and work on this project. I am looking forward to an exciting year. As part of our plans for 2018, I will be sharing with you our strategies, as well as the programs and projects ahead. For our first newsletter, we will focus on productivity. In my discussions with many of you, one recurring topic was how to increase operational efficiencies. Specifically, we are highlighting the progress that the IT Division is making to increase productivity. By improving and optimizing our systems, we expect to see more investments in innovation. These new resources and capabilities will be a substantial driver of success for students, faculty, and staff. DocuSign is an excellent example of a platform that is helping to streamline processes to make life better and more efficient for our SJSU faculty and staff. It has decreased the amount of time, paper, and ink it takes for documents to get processed. It has also shortened the turnaround time from weeks and days to hours or even minutes. DocuSign allows you to quickly and securely make each agreement and approval process digital, from any device, anywhere in the world. It will enable you to sign documents anywhere on any device, a couple of taps on your phone or tablet and you’re done. You can email documents for immediate signature and return. More secure than paper. Documents are encrypted, and a complete audit trail is maintained. Since implementation in August of last year, approximately 1,000 campus faculty and staff users have exchanged more than 13,000 electronically signed documents. We are hosting user forums to promote adoption and share best practices. To learn more about using DocuSign visit DocuSign Help. Many people across the campus have contributed to the success of our DocuSign initiative. I want to individually thank Leon Nguyen and Joel Johnson from the SJSU IT Division for leading this effort. Additionally, a big thank you to all of the departments that have quickly embraced this solution and for making DocuSign a considerable success. Significantly increased the speed and the length of session timeouts during idle activity periods. 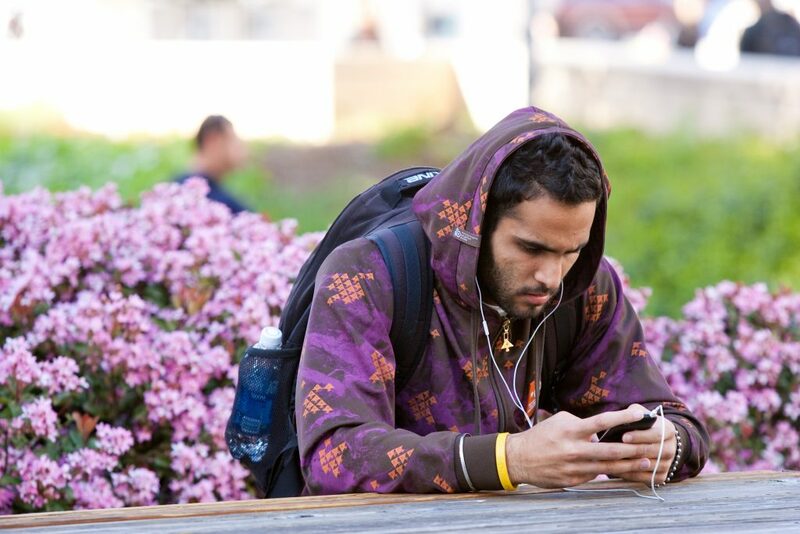 Overall, It’s essential to all of us that access for guest Wi-Fi is a positive experience at SJSU. It is often the first impression a visitor has of the University. However, stay tuned, we are not done yet. We continue to improve SJSU Wi-Fi. We are currently working on approaches to significantly expand Wi-Fi on the south campus. We will share more details with you once the planning phase is complete. I would like to thank Shai Silberman, Steve Chang, and Steve McAulay of the IT Division for their leadership and effort in this successful effort. Be ready to see some changes on our SJSU Information Technology Website in the upcoming months. We are focused on improving the content, look and feel. Our goal is to make our website clear, easy to use, and informative, allowing everyone at SJSU to know what services they’re entitled to and our service levels. This redesign will help us optimize the IT services we deliver to the campus. It will provide transparency to services and would allow both the University and the IT Division to boost their productivity with a simple and easy to use website. A special thank you to Cynthia Salinas and Brenden Sparks of the IT Division for leading this effort. I’m Bob Lim, Vice President for Information Technology and CIO, and proud SJSU Spartan. I want to share with you some important changes about our organization. Information Technology (IT) is now a division of SJSU that reports directly to President Mary Papazian. This change reflects the important and holistic role IT plays in delivering technology solutions and fostering campus innovation, and our expanded support role across the entire campus. We have a passion for technology and the drive to provide world-class solutions for Students, Faculty, and Staff. I have gotten to know many of you in individual meetings and I appreciated the high regard you have for the IT division and the great work we do. For example, you gave me great feedback on how IT is applying technology to help improve efficiency and reduce paper processes, as well as contributing to solutions to improve campus security, among many other things. Communications: You told me we could do a better job about providing information on how IT can help you. To remedy this, we are redesigning the IT website to offer easier access to the information you need. Also, I’ll publish a regular IT newsletter, host IT meetings, and enable other communication channels to stay in touch with you and hear more of your great ideas and feedback. Wi-Fi: One of the biggest opportunities I hear is improving the Wi-Fi experience for our guests. During this semester we’ve had as many as 20,000 users on the network at once. While this is impressive, we are proactively looking to improve our service and grow this number. Our goal is to make the campus Wi-Fi experience simple and easy for Spartans and their guests. We will have a resolution before the end of this year. Also, we are developing a Wi-Fi coverage map to share with everyone on campus. Security Access: We want a friendly and streamlined process for faculty and staff to get security access. We are working with our colleagues in Academic Affairs, Student Affairs and Administration and Finance to help remedy this situation and make the process simple and straightforward. Our goal is to eliminate the training completion requirement and grant access wherever possible. Metrics: We want to continue to be open and transparent about the performance of IT. In that spirit, we are developing metrics for all key performance indicators (KPIs). This will provide valuable data to help us improve your day-to-day technology experience. We use the IT industry standards (ITIL) for KPIs. For example, Number of Incidents, First Time Resolution Rate, and Problem Resolution Time. We will develop sustainable service level agreements (SLAs) to set expectations with you as we formulate standards for measuring and improving our performance. Password Resets: Is there a better process for resetting passwords? We feel your pain. Do you know that approximately one in four calls to the IT service desk involves resetting passwords? We will publicize where to find readily available information and online tools to reset your passwords. In the next few months, as we alert you about account expirations, we will provide links to easy password reset tools. In addition to the top issues discussed above, there are other significant opportunities that IT is actively pursuing. Artificial intelligence (AI) – AI is a game changer that’s transforming the very foundation of how we live and work. Our goal is to understand how to intelligently incorporate AI into operations and roles across SJSU that can benefit from this new technology. We are currently in the strategy phase, and we are interested in gathering any ideas or feedback you may have on how best to utilize this new technology at SJSU. 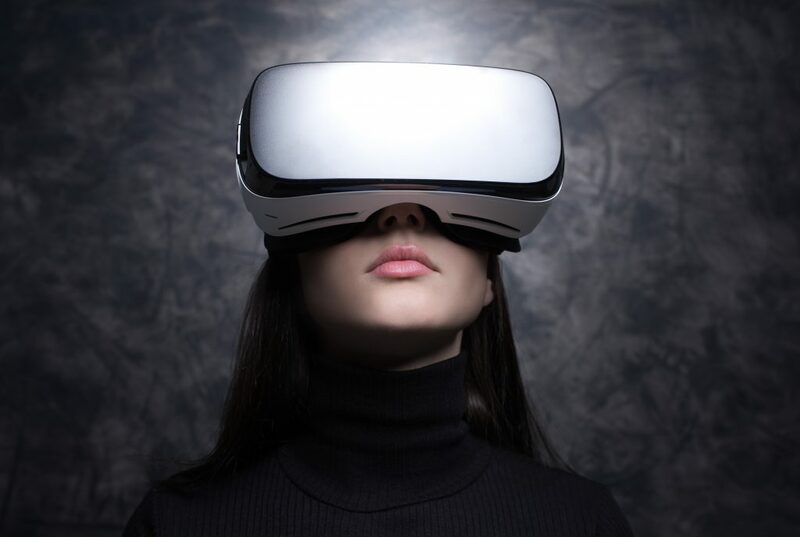 AR/VR – Augmented Reality (AR) and Virtual Reality (VR) technologies are heralding new learning methodologies within education and SJSU will be implementing innovative programs in these areas. In development is a program for the School of Nursing that implements AR for patient care and diagnostics. Also in the works is a “touch and learn” VR facility to give faculty and students the opportunity to experience the current maturity of the technology. Student, Faculty, Staff Councils – We want and need your input. We are forming governance councils comprised of students, faculty, and staff. I value your opinion and will use your guidance to drive IT advancement. If you are interested in being part of the councils, please let me know. Bandwidth – We are increasing network bandwidth from dual 10Gb/s (10 gigabits per second) to dual 100Gb/s. This increase in speed is not only important for day to day activities and accessing our website for cloud-based applications, but it is vital to support the research efforts of the university by enabling larger data flow. Redundant Connectivity – We will reduce downtime at SJSU remote locations. If the network goes down at a remote location, south campus, for example, we want to have built-in redundancy to bring operations back online with only a short interruption of service. We are working with vendors to provide this capability. I am very optimistic about the direction we have set and by the fact that we have a highly dedicated and professional IT staff that goes the extra mile to execute on our commitments. I also want to thank President Mary Papazian for her leadership and support. Together, we will achieve many amazing things for SJSU. As always, I am open to your feedback and suggestions. Please do not hesitate to contact me at bob.lim@sjsu.edu. If you prefer a face-to-face conversation with me, please feel free to reach out.